I got 10 pounds of pork fat from the farm we buy meat from last month with the intent of rendering my own lard. When I ordered I had an idea of what I would need to do, but knew I would need to look up the directions again before I proceeded. It was surprisingly easy. It took me three days to do all 10 lbs. 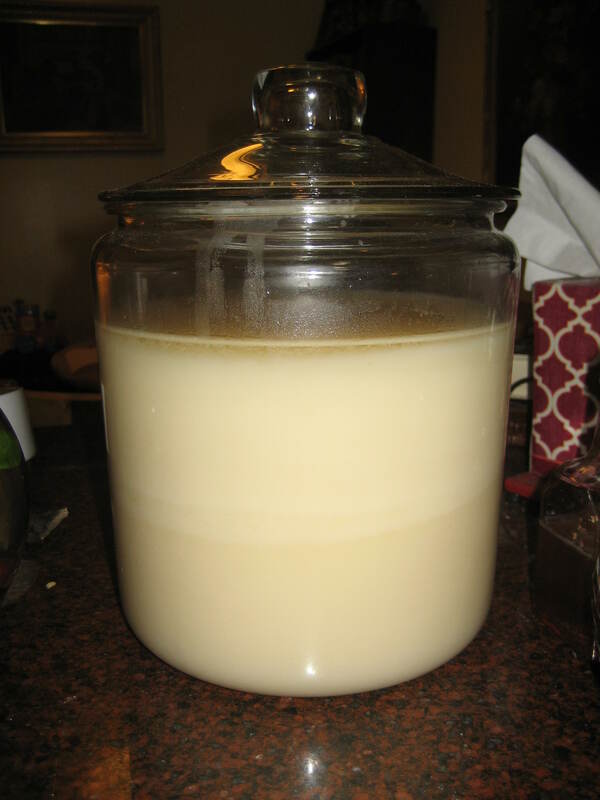 as my crock pot is small, but I now have 1 gallon of lard (pictured) on my counter. I’d say it was well worth the $7 I paid for the fat. All I did was cube the fat, toss it in the crock pot with about a cup of water. Cover. Turn on low. Cook either overnight or all day stirring occasionally if possible. Strain out the leftover fat pieces with a cheesecloth and collander, pour in a heat safe container (mason jar, casserole dish, crock, etc. ), cool and chill in the fridge. All done and not much to it. The rendered lard should keep in the fridge for quite some time. I find that fat stores better in the fridge if it’s not tightly covered. I’d suggest covering with a tea towel and rubberband. If covered tightly with a lid moisture can accumulates in the jar and it can get moldy. If this happens, scrape off the mold from the top and use what is underneath. You can also store lard at room temperature. But, I would suggest that if you make a big batch like I did, to store one jar at a time on the counter top and to store the remainder in a cool place. 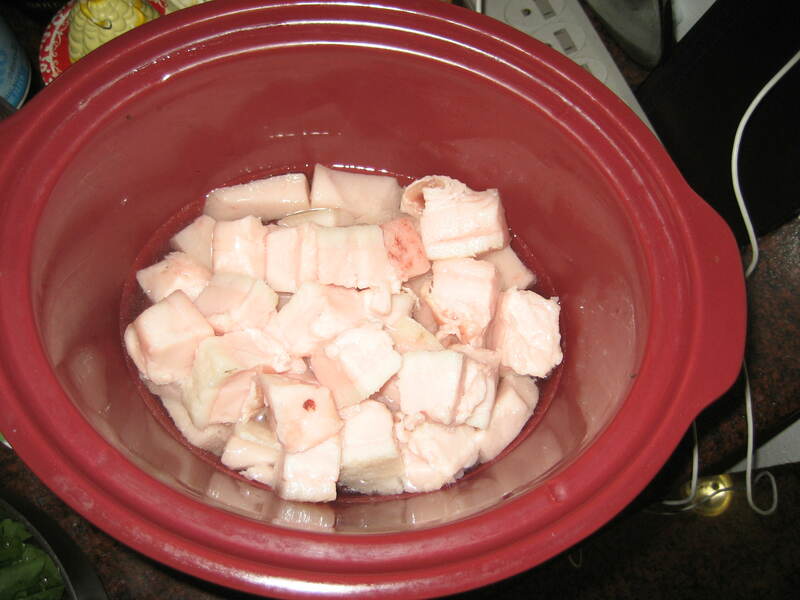 Pork fat in crock pot – ready to cook. This entry was posted in Crock Pot Cooking, Kitchen, Pantry, Recipes. Bookmark the permalink.